The 2015-2016 legislative session has come to an end, but the legislature continues to be hard at work. 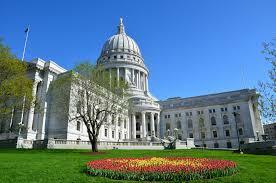 This summer, the legislature has formed eight Legislative Council Study Committees with the focus of researching specific issues affecting Wisconsin. Joined by community members from across the state, the committees have begun to hold hearings, taking testimony from experts in the field and asking detailed, pointed questions in an effort to find an answer. Once completed, the committees will review their findings and work to construct legislation to combat the state’s current problems. The following is a list of the current eight study committees. The legislative Council Study Committees are chosen based upon input from legislators as well as the public. Every two years, as session comes to an end, the Joint Legislative Council welcomes recommendations for prospective committees. The committees then narrow down the topics and announces the search for volunteer members.